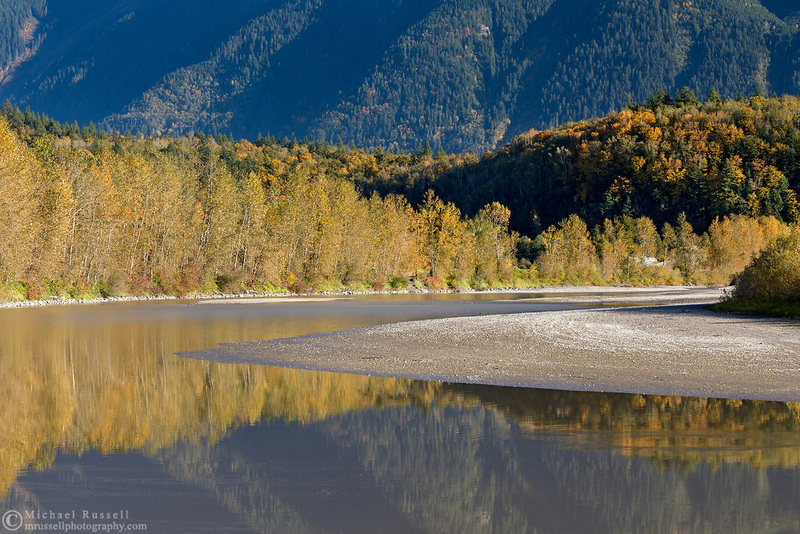 The Fraser River is surrounded by fall foliage color in Agassiz, British Columbia, Canada. The majority of the trees providing fall color along the banks of the Fraser River are Black Cottonwood (Populus trichocarpa). The trees on the hill in the middle of the photo are predominantly Bigleaf Maples (Acer macrophyllum).